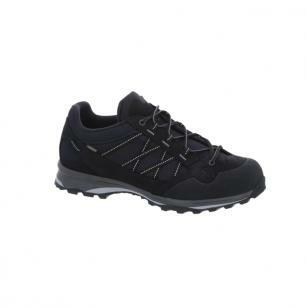 Sportive trail shoe made from lightweight yet robust material combination and designed in a modern look. The bunion last offers additional room for the big toe joint. The Belorado Low GTX® is a versatile trail shoe for long walks and rapid hikes – or more if you are up to it. Many people – often women, but also boulderers and sport climbers – suffer from bunions (hallux valgus) and stiffness of the big toe joint. Hanwag's special Bunion Last provides additional room around the big toe joint.